Best Insurance Coverage for Your Cleaning or Restoration Company. 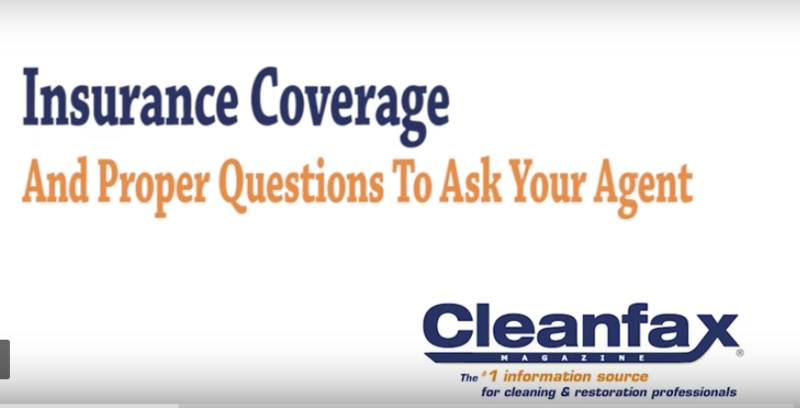 CleanJeff Cross, executive editor of Cleanfax, interviews Kari Dybdahl of the ARMR network and asks what cleaning and restoration pros should look for when attempting to find the best, most comprehensive insurance coverage for their businesses. It’s not about just walking into an insurance company office, as some might think, and it’s not about making a few phone calls. This can be as tough as finding the best employee for your company. It’s all about asking the right questions. Check it out!